For some being in a car wreck is an excuse to buy a brand new car—especially if theirs is looking a little worse for wear. But while the prospect of driving a shiny new car can be enticing, there are several very good reasons why you should consider repairing your car after a collision, rather than replacing it. Insurance can be a huge hassle when you have a collision. The amount they pay out will depend on the level of damage to the car. If it is totaled, you’ll get a high payout, but even then it won’t be enough to buy an equivalent car new. That’s because your insurer will pay you the current value of your vehicle, not the value when you bought it. But when your car can be repaired, most insurers will pay for the repairs in full or nearly in full. So you could get your car back without paying a penny. If you don’t want to pay a lot from your own pocket for a new car or put yourself at financial risk by taking out an auto loan on a new car, repair is the way to go. Most of the people who take their car to us after a collision just can’t bear to be parted from it. The sentimental attach that many people have for their cars is a huge factor when it comes to getting their pride and joy repaired. Choose the right collision repair center and it will be like nothing ever happened to your baby. The problem with the grass always being greener is that almost always isn’t. 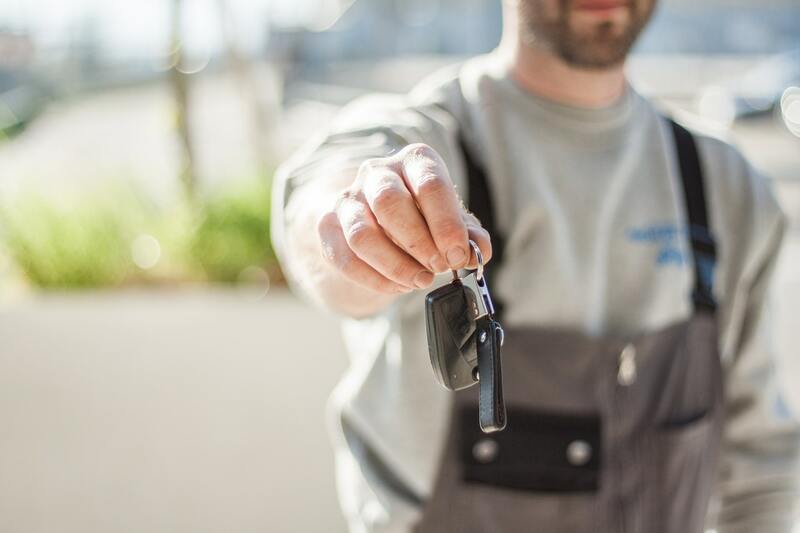 So even though the idea of owning a different make or model of car may be exciting, the reality may be completely different. If you enjoy driving your current car, why risk changing it? A good collision repair center should be able to have your car running like normal, so you’ll hardly notice the difference after the crash, either. Another reason not to buy a new car is due to the rate at which brand new cars decrease. Everyone knows that you wipe out a substantial part of your car’s value the moment you drive it off the forecourt. Your current car, once repaired, will retain almost all of its current value. In other words, you won’t be throwing money away by getting your car repaired. If you want to stick with your current car and get it repaired rather than buying a new one, Chaney’s Collision Center is here to help. Give us a call at (623) 915-2886 or use our online form to request a tailored quote.